Does your company suffer from a poor team environment? For a business to be successful, its employees must be invested not only in company, but their fellow team members. Maryland corporate retreats at UEI are the perfect events to not only align employees with corporate goals, but also to create a sense of teamwork, employee camaraderie and build self-esteem. Our team activities can enhance interactions between all departments by strengthening connections and creating bonds that benefit the entire organization. We can create a program that encourages communication and problem solving skills and lets your group work together to overcome challenges. The events are meant to be challenging, but also fun. Build trust and motivate your employees to do their best. Take away the lessons learned and use them in the board room or office. Our programs empower the individual, the team and your entire organization. We use proven methods and have an impressive track record of taking employees and leadership to the next level. Upward Enterprises can create a custom plan that aligns with your goals and maximizes teamwork and motivation. We are based from the Claggett Center in Buckeystown, MD., which has conference areas and accommodations for your group. We can take care of all your Maryland corporate team building needs from one place. If you can’t make it to Upward Enterprises, then we can come to you. We have several different activities and challenges that we can bring to your corporation. While it’s not the same experience of actually being at Upward Enterprises, we can still provide authentic and rewarding team building programs at your location. Upward Enterprises has so many programs and challenges available that you have to experience it to believe it. We have something for every budget, so call us now and begin your adventure. For Corporate team building the high and low course is a perfect vehicle to facilitate communication, team work, trust and problem solving. Getting your team away from the distractions in the office and coming out to the course is the first step to investing in your team. The challenge course is an ideal ‘leveler’ where everyone is the same, and take turn in leading the group through various activities. Our Portable program is an ideal solution if your team can not make it to out to the Challenge course. The portable program can travel to your choice of location either indoor or outdoor. A similar selection of activities are used to achieve the same goals, including better communication, trust and support and processing the group dynamics. 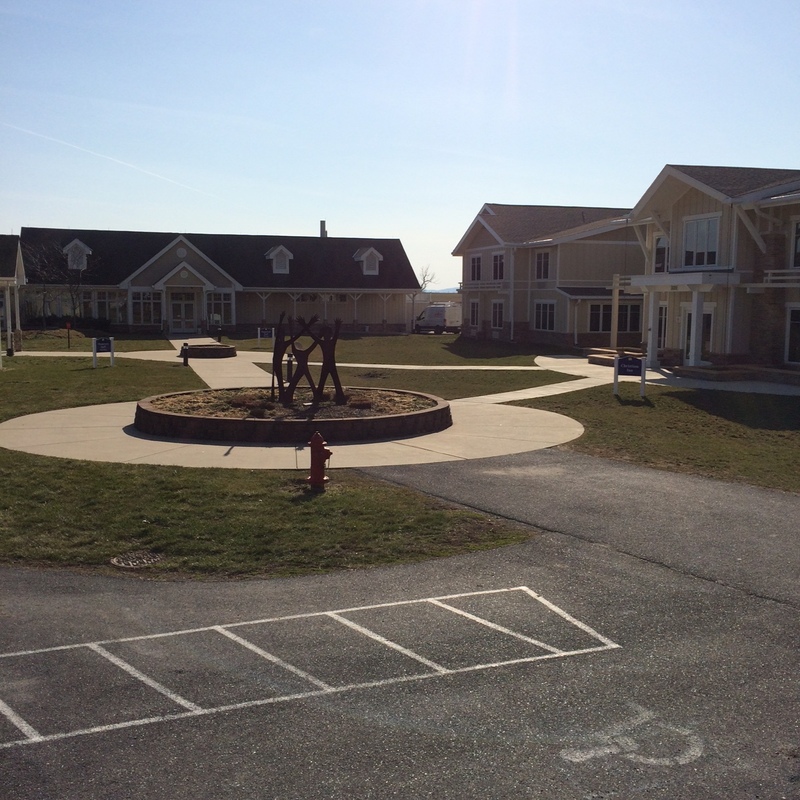 The Claggett Center not only are our "Host" but also partners for accommodation and dining. They also offer conference room facilities with A/V as well as break out rooms. This services can be booked directly with the center or through us. Our indoor program can go any where that has enough space to hold the size of your group. These programs can be physically adapted to suit your group or more of the table top activities that will test you intellect and ability to share your knowledge with your team. 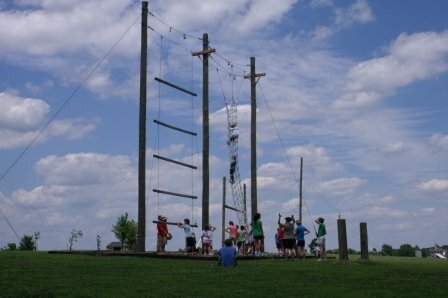 Low and High challenge course at our Buckeystown facility. Desktop team building at your facility. 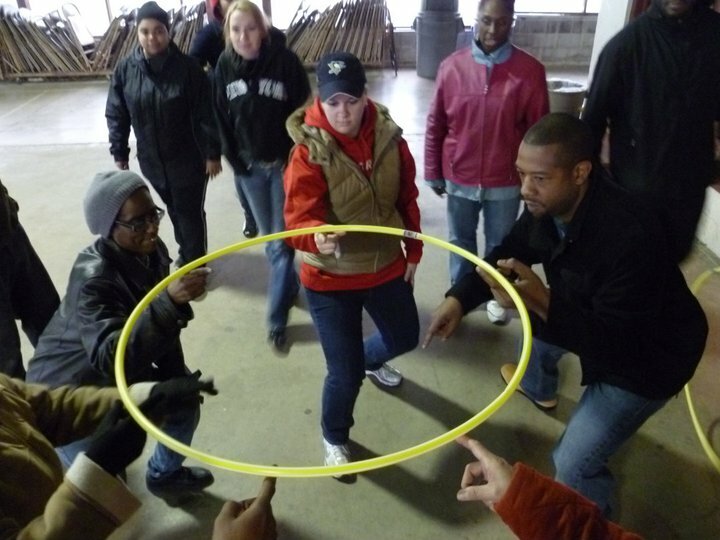 Our portable team building program can travel to your facility. We can aide in Organizational Development. Provide professional conference and dining facilities at our Buckeystown location.